On Friday, August 17, 2012 at 5:47 pm, 7 companies of Spokane Firefighters, 2 Senior Ladders, 4 Engines, and 1 Heavy Rescue, responded to a Structure Fire at the corner of Pacific street and Government Way . Spokane Firefighters from the Brown's Addition neighborhood Fire Station (Station 4) arrived within 4-minutes to find smoke showing from the second floor of a vacant two story structure. Firefighters completed a quick search of the structure as the first arriving Engine Companies attacked the fire and Ladder Companies prepared the roof for ventilation. The well coordinated effort of firefighters extinguished the fire within 1 hour. No injuries were reported. The cause is under investigation by the Fire Deparment's SIU. The Fire Damage was limited to the room of origin and smoke damage was throughout the second floor..
Register now for the Tunnel to Towers Run (or walk). I am sending you this email to let you all know about a fundraising event for our Local 29 Benevolent Fund. It's called the Stephen Siller Tunnel to Towers Run. This is a 9/11 commemorative 5k run or walk going to be held in Spokane's downtown Riverfront Park on Saturday, September 22nd, at 9 AM. Half of the registration dollars for this race come directly back to our own Benevolent Fund. I've attached the advertising flyer to this email. 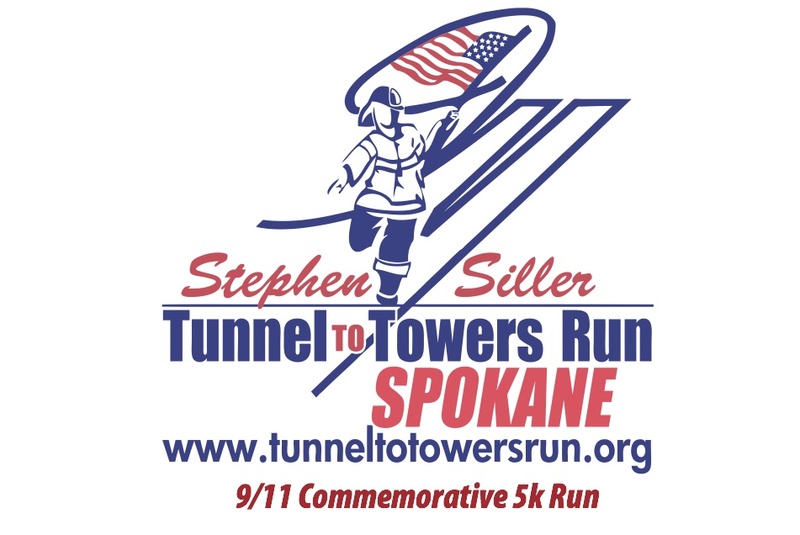 To register for this event, please go to www.tunneltotowersrun.org and click on "911 Run Near You" to find Spokane's registration page. The event is $25 online and $30 on race day. A complimentary t-shirt will be available for those who pre-register. Similar to the 9/11 Memorial Stairclimb we held last year, this event IS NOT A RACE. You can run it, walk it, and even wear your bunker gear if you like. There is no clock or timekeeping device. Just come out and show your support! 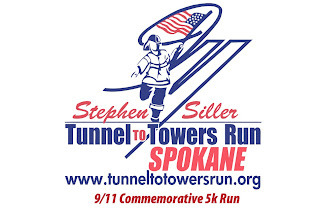 Stephen Siller Tunnel to Towers Runs are held all over the United States and even in London and Guam. Unlike the 9/11 Memorial Stairclimb, this event is for EVERYONE, not just firefighters. So you can run or walk the course with all your family and friends or do it with your crew or station. We do need volunteers for this event! The morning of the run (Sept. 22nd) we'll need help beginning at 6:45 A.M. The most help will be needed from 7:00 A.M. until 8:45 A.M. then again from 9:45 until 11:00 A.M. We'll only need a few people around between 8:45-10:00 who would not be running / walking. By the time Stephen Siller was 10 years old, he had already lost both parents. Although he went through a period of struggle, because of the love of his siblings and the values instilled in him by his parents, he grew up to be an extraordinary individual. More than most, he knew that time was precious and accomplished much in his 34 years. On September 11th, firefighter Stephen Siller had just gotten off the late shift at Squad 1, Park Slope, Brooklyn. He was on his way to play golf with his brothers on that bright clear day when his scanner told of the first plane hitting the Twin Towers. When he heard the news, he called his wife Sally to tell her he would be late because he had to help those in need. He returned to Squad 1 to get his gear, then took his final heroic steps to the World Trade Center. When Stephen drove his truck to the Brooklyn Battery Tunnel, it was already closed to traffic . With sixty pounds of gear strapped to his back, he ran through the Tunnel, hoping to meet up with his own company, Squad 1. Stephen was first and foremost a loving husband and father to five children. He was also a dedicated fireman, devoted brother, loyal friend and committed neighbor. His life brought great light to those around him. Stephen’s life and his heroic death serve as reminder to us all to live life to the fullest and to spend our time hear on earth doing good - this is his legacy. Billboards are up around town. Because of the hot and dry conditions, specified outdoor recreational fires, including campfires, have been restricted in the City of Spokane effective today, Aug. 14, by order of the Spokane City Fire Marshal. The restriction will continue until further notice; such restrictions are subject to change depending on conditions. Citizens still may use backyard barbecues, chimineas, portable outdoor fireplaces or other patio/deck warmers, as long as approved fuel is used. Approved fuel includes seasoned (clean and dry) firewood, briquettes, propane, or natural gas. Fires must be in designated areas or on private property with approval from the owner. Fires must be attended by a responsible adult (knowledgeable in the use of the fire extinguishing equipment) at all times. Approved fire extinguishing equipment must be on hand and ready for use. Equipment can include a garden hose, dirt, sand, bucket, shovel, or a minimum 4A rated portable fire extinguisher. Adequate clearance from combustibles must exist. For one and two-family dwellings, follow the device manufacturer’s instructions for clearance. Be safe and use good judgment. For multi-family dwellings, use at least a 15-foot clearance from combustibles and structures. Be safe and use good judgment. Fires must not present a health hazard or nuisance to others. Safe wind conditions (no more than 7 mph) must be present. A Spokane Regional Clean Air Agency “green light” indication for air quality must be present. Ash and charcoal remnants must be safely disposed of in noncombustible waste containers. Failure to comply with the burning restrictions could have serious consequences. A person who fails to take immediate action to extinguish or otherwise discontinue unauthorized burning when ordered to do so is guilty of a misdemeanor. That person can face a fine of up to $1,000 and/or up to 90 days in jail.